This invitation set, designed with a mix of elegant fonts, is printed on frosted, flexible plastic in white ink. 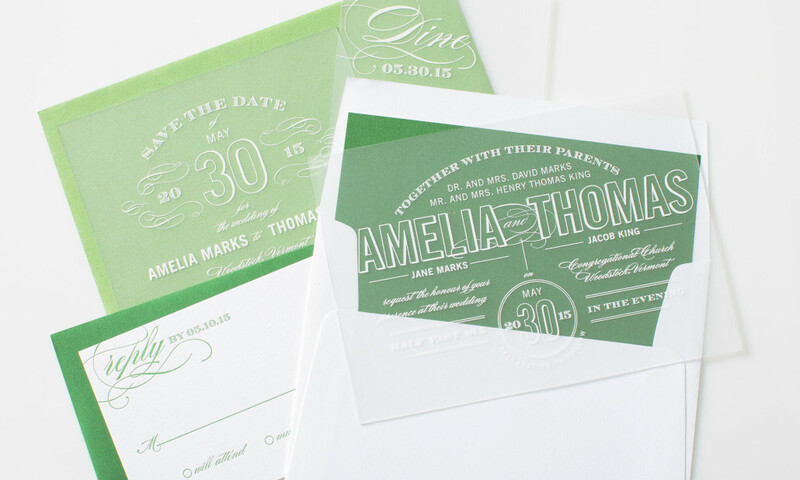 A shimmer green reply card and envelope liner add a fresh, bold color for a spring or winter wedding. 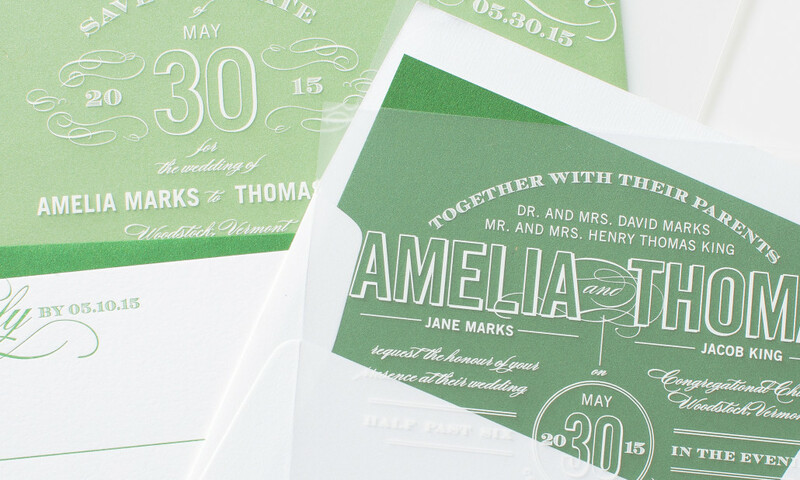 All colors, papers and typography can be customized to fit your wedding style.